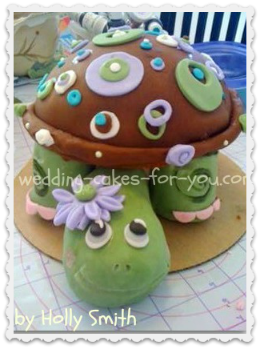 Welcome to the cake decorating contest and STORY sharing at Wedding Cakes For You. Share your latest creations and add to the growing collection of charming, clever and and delightful masterpieces! 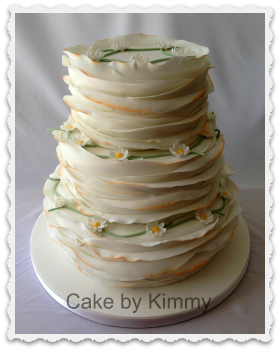 All of the cakes on this page are from readers like you who are handy with a pastry bag and are willing to share their skills with everyone. 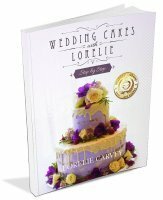 "I can't believe all of the cakes that are on here now; a virtual 'plethora' of ideas.....Great job Lorelie and Wedding Cakes For You!!" 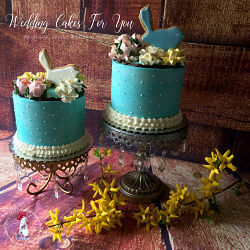 Since starting Wedding Cakes For You in 2009 hundreds of cake decorators have shared and entered the cake decorating contest here . Below you will find photos and stories from talented people from all over the world. 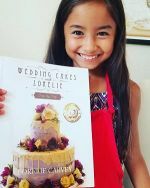 They have revealed inside tips on how they made their cakes with recipes, tutorials, and even some bloopers. The inspiration that you can find here is priceless, and it's FREE. 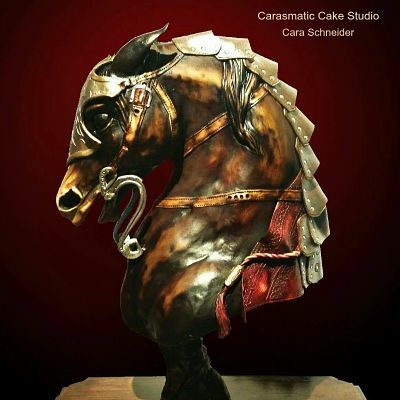 Share your cake creations...and check out even more pictures from decorators at the bottom of this page for ideas and inspiration. Have A Great Story And Photo to Share? Do you have a great cake story with a photo of your cake? Please Share it! Entering your story is easy to do. Just type!...Please make your story at least 300 words, 400 is optimal for search engines to notice your page. There are many FREE word counter tool online. Your story will appear on a Web page here. I may add titles and do some editing. You can wrap a word in square brackets to make it appear bold. For example [my story] would show as my story on the Web page containing your story. Do you have a picture to add? Great! Click the button and find it on your computer. Then select it. If you have any trouble uploading a photo you can send it to me as an attachment in an email cpastrychef@gmail.com I will add it for you. Or try Picmonkey.com to edit and save your images. You can save them at a smaller file size if they are too large to upload. 800 pixels wide or lowers is an acceptable size. Warning: Wedding Cake in Trunk! Jasmine & Aladdin Birthday cake! A BEAUTIFUL CHRISTMAS CAKE,,,, ITS WATING FOR YOU!!! Some of these luscious creations are contest entries and some are not, but they all deserve a medal for their hard work and generosity. NOTE: No cake decorating contest is currently running. 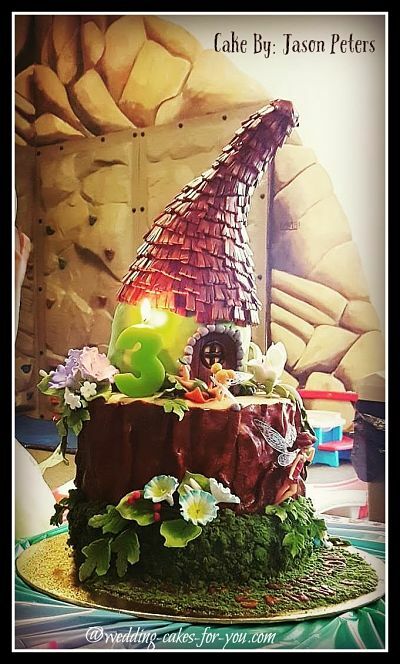 Jason Peters shared this incredible Woodland Fairy House cake that he made for his daughter! Wow! I am proud to say he found my website helpful. Here is what Jason had to say. "I went with your chocolate buttermilk cake with the coffee, which always turns out amazing and it tasted great as always at the last party. I just recently started baking cakes , this was probably my 6th cake. But I will say that there has not been a single recipe I have found that comes close to how great and tasty your recipes are. 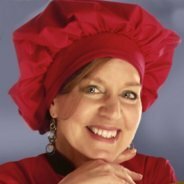 I think you are a great culinary artist, thanks for the info on your site." Tammy came to me for advice on a gumpaste cake topper and look at what she created!!! "I used a a half moon fondant covered Styrofoam ball which is edible glued to a 6" round disk that I also covered in fondant. The hardest part was getting the smaller wired flowers into the styrofoam. Everyone was super amazed; especially our birthday moms. The Swiss meringue icing was absolutely delicious but the cakes all seemed a little dry. I even put simple syrup on them. I think they were refrigerated to long but I had to bake ahead at home them travel 200 miles to where our parents live. I think maybe keeping them frozen right up until frosting is what will be best next time. But I am really happy how the cakes turned out! My husband is happy that we will have home cooked meals again. Lol. Thank you again for sharing your expertise with me. " 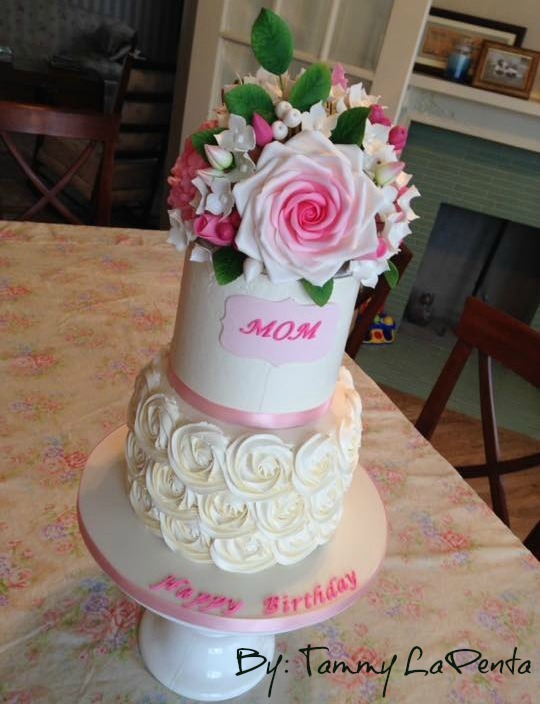 "Omg your website was the first one I came across when I started making cakes! Yes it is a cake :))) Thank you for sharing. The chocolate buttermilk recipe is a favorite of mine. We also love your baked cheese cake! We cooked it once in our bbq as my oven died right as I put it in... I must say cooked in the BBQ it was AMAZING! The only problem it had was a crack in it as everyone had to take a look while it was cooking! My guests still talk about that! Haha"
Nicolette's son was a recipient of an Icing Smiles cake and it inspired her to start baking! "This cake was made for a friend of mine's 40th birthday. 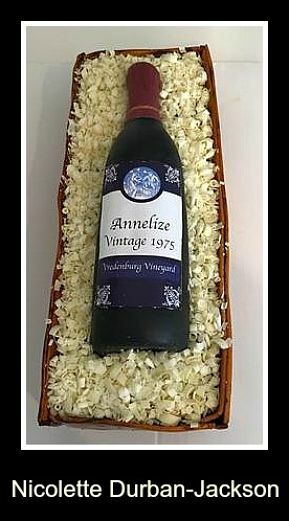 The sides of the cake and the wine bottle are made of fondant and the inside of the wine box is a decadent double chocolate fudge cake. All the cake elements are edible, except the label - which was removed prior to serving." 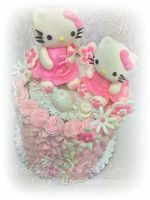 "Hi Lorelie, Thank you so much for the wonderful surprise and giving me an honorable mention at your cake decorating contest. That is very cool. Keep up the great work and your helpful website is a newbie's dream come true. Have a great day." 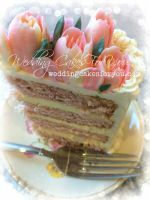 Your submissions help to make Wedding Cakes For You a treasure trove of ideas and is fast becoming one of the best places to go on the internet for FREE wedding cake and cake decorating information. Your contributions to this website are really appreciated by me and the thousands who visit daily.